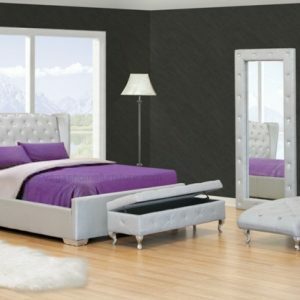 Style for your modern bedroom is the Fabriana Collection. 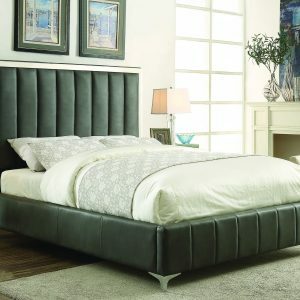 Horizontal channel tufting is flanked by the tapered headboard frame while the contemporary shape is furthered by the slight curve of the foot board. Trend-forward grey fabric covers this stylish bed.